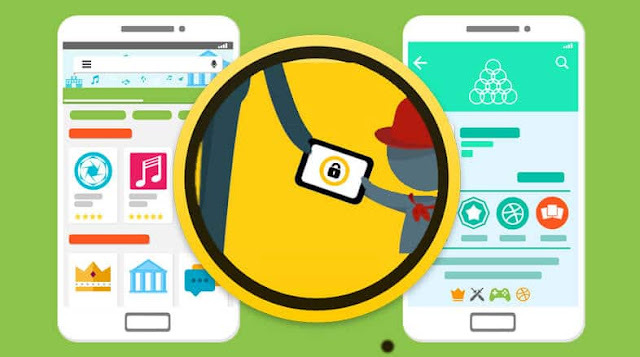 How to set up Parental Controls in Google Play Store for kids safety? Children are becoming technically knowledgeable these days, and they continue to explore it all the time with curiosity. They can navigate smartphones more comfortable than you. They know that apps and games can be downloaded from Google Play Store in some way. Many times it happens that when you are not around, they take your phone in their hands. Are you scared? Well, you should be scared! While gadgets are a great source of knowledge and information, but there is an evil in it, especially for the youth. This means that besides having a huge bill on app purchases and games, your children can also have risks from online predators and adult content. But you do not have to be afraid. Today we will see how to create a user profile for children and how to set up parental controls. First of all, open Play Store and tap on the menu icon. Go to Settings and tap Parental controls. By default, it is off. You will find that all its options are of gray color. To set it up, toggle on parental controls toon. You will now have a parental control panel that will open the screen. Here, you can set content restrictions. You will see three options in the Set content restrictions window. Here you can decide which apps, games, and music your kids can download. First of all, there are apps & games that are set to Allow all, including unrated by default. Tap on it. Here on the basis of your child's age, you can choose from 3+ years to 18+ years or you can select All. So if your child is 3 to 7 years old, you can select a rated option for 3+ here. Or if your child is between 7 to 12 years then you can choose 7+ option. Tap on the circle of the green color in front of the right number of your children's age. Then tap on the Save button below. You will now have a set content restrictions window once again. Now tap on the second option Movie Options. Here you will find different options in the age of space. This content rating is used to describe the minimum content maturity level. Ratings are usually based on many factors, including sexual content, violence, drugs, and inappropriate language. Note: Rating is based on local standard and varies by country. Now you have the last option music. Although young people love music and there are so many apps on its Play Store, but you can still block those apps which have been given explicit mark by the content provider. You can tap Save on this checkbox. After setting all three options above, when you browse the Play Store, you will see all apps, games and music apps but your kids will not be able to download them without entering the PIN. Now every time a child is trying to download any app or game, this PIN code must be entered first. Children sometimes buy or purchase in unknowing games or in an app. But Google has some good ways to make sure that your device is safe for unexpected purchases and requires a password before any purchase. Before settling down, open Play Store and tap on the menu icon. Go to Settings and scroll down. Tap on the Require Authentication For Purchases option. Now you will open a pop-up window with three options. Tap on "For all purchases through Google Play on this device" option. Every time children choose to buy this option, they will have to enter the password if they try to buy anything. Bus! Now you can tension free and give Android smartphones into the hands of your children.